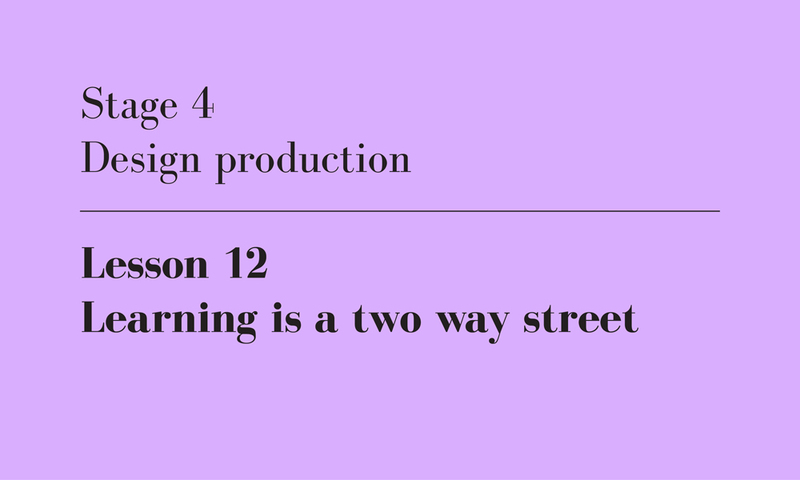 This is the 12th of twenty-one lessons for design students, gathered from the combined experience of being a student, and teaching students. I will published one lesson each weekday until they’re done. Masters level design studios involve two 3 hour sessions of contact time per week. Across the 12 weeks of semester, this multiplies out to 72 hours in total. As it happens, I’m both a generous guy and bad at telling the time, so my 6 hours often evolve into 7 or 8. But even at 8, this is still only 96 hours across the semester. An average design studio at the University of Melbourne contains 15 students. This means that after you’ve factored in my generosity, you have 384 minutes of contact time with me from the start of your project to the end. Not all of those minutes are productive however. You’ll need to bring me up to speed each studio session, which at 3 minutes a pop loses you 72 minutes. You’ll also need to factor in the odd session you miss, which at two across the whole semester loses you another 32 minutes. This leaves you just 280 minutes with me, to help you achieve the best project you can. This is not a lot of time. Fortunately, you have at your disposal a version of what Pixar president, Ed Catmull, believes is essential to the astounding success of his film studio: a Braintrust. Pixar’s version involves their best storytellers gathering every couple of months to review and constructively critique films under production. Catmull argues there are two key characteristics that make the Pixar Braintrust work: first, it comprises people who have been through the storytelling process themselves, and second, it has no authority at all. He suggests that this combination means a director under review holds the feedback she receives in highest regard, and is empowered to find her own solutions to the criticism. So where can you find this magical Braintrust? Among the 14 students around you. You needn’t conscript every one, a small group will do. It needn’t even be the same students each time. All that matters is that you regularly tap into the feedback of other intelligent, motivated and candid students. They are Pixar’s experienced storytellers: they understand design, know your brief and empathise with the process. What’s more, they’re available. They’re working on their projects as much as you are yours, so have time to give. By establishing your Braintrust, you will inevitably by required to return the favour. You will need to provide criticism to your peers as they provide it to you. This shouldn’t be seen as a burden however, quite the opposite: teaching is one of the best ways to learn. Forcing yourself to constructively critique other projects will reveal the flaws in your own. It will also hone your ideas and your methods of communication. As I’ve said before, sharing is better hoarding. Of the four design studios I’ve run, my first was the most successful. This is not to say that there weren’t brilliant projects in the subsequent studios, rather that the unusual camaraderie that existed among my first batch of students lifted everyone’s work. Indeed, while there were a number of students whose projects deserved the highest honours, the one who received them not only produced a great project, but was the most dedicated to the two-way street of learning. Ed Catmull; Creativity Inc.: Overcoming the Unseen Forces that Stand in the Way of True Inspiration; Random House; New York; 2014. I strongly recommend you purchase this book, or at the very least read the linked excerpt. Learning is a two way street, author’s own image.